To tell you the truth, I used the think affirmations were kind of “woo-woo” and I didn’t quite believe they would work. Until I started using them! I now write affirmations regularly as part of my morning pages and they truly can change your life. If you’re not sure what affirmations are,they are basically positive statements which you repeat to yourself in a way to support your success. They can help you to develop a more positive perception of yourself and your life. The repetition of positive affirmations will keep you motivated and focused on your goals. They can influence the way you think and behave. Think about what you tell yourself on a regular basis, is it mainly positive or negative? Affirmations can change obstructive behaviour and habits. They can help undo the damage caused by negative statements which we have we repeatedly heard or told ourselves in the past. When should you use positive affirmations? Affirmations can be used in two ways. The first is to speak the affirmations aloud to yourself, ideally in a mirror, for example when you are doing your make-up or shaving. The second way is to write the affirmations down several times in a journal. Overtime you may notice that you’re speaking the affirmation louder and with more confidence. If you’ve chosen to use your journal, you may notice that you’re writing the affirmation in a different writing style. This could be a clue as to how your mind is starting to believe the concept and develop a more positive perception. Below I have listed 100 positive affirmations. Broken down into five categories to help you find the ones which work best for you! I am becoming more successful each day. I am fully capable of achieving my dream. Today is the day that I make my dream come true. I am not too old to set a new goal or dream a new dream. Every day in every way I am acting more like a successful person. I believe in myself and in my goals. Every day I take steps to reach my goals. My mind is clear, focused and energised. I push my limits and I achieve great things. I am committed to making my goals a reality. When I follow my plan, positive things happen. Because I believe in my goals, I achieve my goals. I have the passion and determination to achieve my goals. Defining my goals helps me to achieve my life’s purpose. Everything I do supports the larger vision I have for my life. Staying motivated and passionate about my dreams is my nature. I devote time every day to research, study, plan and implement my ideas. I possess the strength and ability to accomplish all my goals and dreams. Every achievement was once a small dream. Today I act on my dreams. I recognise the barriers to achieving my goals and I move around them, over them and through them. I always find the positive in everything. Being positive and motivated is natural. Being happy is a decision I’ve made today. I enjoy being, feeling and thinking positive. It’s a happy world and I intend to be part of it. I always choose thoughts which benefit my life. I am in charge of how I feel I choose happiness. All of my thoughts are positive and constructive. My mind is full of gratitude for my wonderful life. All is well in my life. I am calm, happy, and content. I think positive thoughts and radiate positive energy. I hold the key to my happiness and I am capable of it. Every morning I feel happy and enthusiastic about life. I possess everything I need to make positive changes in my life. I will become someone who feels naturally positive all the time. Because my thought habits improve every day, my life improves daily. I am always eager to try new things. I overcome fear by following my dreams. My courage grows as I press on past my fears. My belief in myself lifts me high above any fear. I am in complete control and have nothing to fear. When I feel afraid, I count to five and the fear disappears. Fear is nothing more than an emotion I allow myself to feel. I am finding it easier to take action without hesitation or fear. I know that I can handle anything with determination and courage. I accept that fear means I am on the right track towards an amazing life. 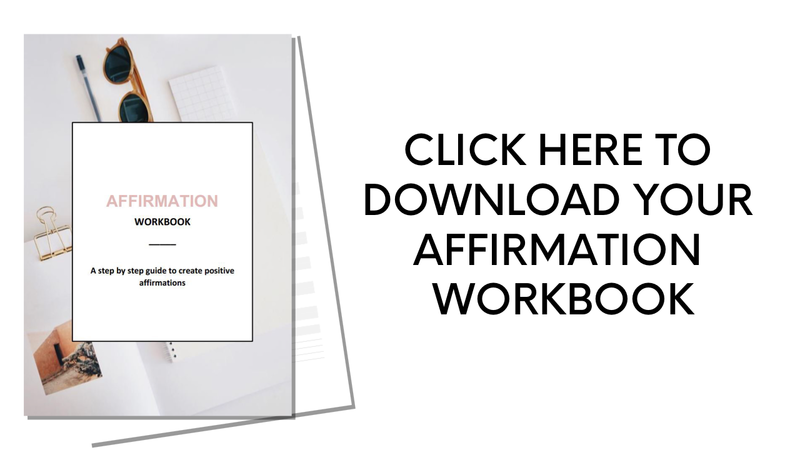 If you enjoyed this post then I think you will love Sam Laura Browns post on how to use affirmations to achieve your goals. Thanks for these! I started using affirmations recently and they have changed my life. Sometimes it can be hard to be optimistic when there are so many problems in the world. But I think by being positive, thankful and staying in a state of gratitude can help us see the happiness in the world. There is always going to be something sad happening which can dampen our positivity. However there is also always something happy happening too, this is the world we can be grateful for and be part of. 🙂 Thanks for commenting!